If you need help understanding the property licensing rules in Bexley you have come to the right place! We are experts in housing regulation and have produced this free guide to help you understand the council’s property licensing schemes. To help set the scene, the London Borough of Bexley is in South East London covering an area of 23 square miles. It is bordered by the boroughs of Greenwich to the west, Bromley to the south, with Kent to the east and the River Thames to the north. According to the 2011 Census about 11% (1 in 10) of the housing stock was privately rented which is a lot lower than the London average of 25% (1 in 4). The licensing rules recently changed in Bexley so it is important you study the details carefully. On 1 October 2018, Bexley Council introduced a selective licensing scheme covering part of the borough. 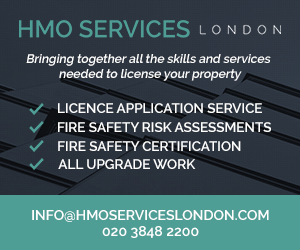 Whilst Bexley Council do not operate an additional licensing scheme, there is also the mandatory HMO licensing scheme that applies borough wide. The selective licensing scheme came into force on 1 October 2018 and is expected to continue for five years. You will need a selective licence if your property (house or flat) is let out to a single person, couple or single household and is in Thamesmead North, Abbey Wood / Lower Belvedere, Erith and Manor Road areas. The scheme also applies to HMOs in that area that are not already licensed under the mandatory HMO licensing scheme. You can view a copy of the scheme designation in the orange ‘More Information’ box on the top right on this page. To check if your property falls within the selective licensing area, you can use the address search tool on the council’s website, available here. It depends on the type of licence you are applying for. The council recently restructured their HMO licensing fees, so they are not directly comparable to the old rates. For new applications, the council charge a base fee of £265 plus £145 per letting whereas the previous rate was £200 per unit of accommodation. So, an HMO with five separate single person lettings / bedrooms costs £990, against the old rate of £1,000 – a slight reduction! The fee is paid in two installments. The council have said they will offer a £50 discount for accredited landlords, which is a step in the right direction, although it would be nice to see a bigger discount. The council charge a fixed fee of £690 per property, although the fee is being reduced to £371 per property during the early bird discount period that runs until 31 December 2018. The fee is paid in two installments. The council have said they will offer a £50 discount for accredited landlords. The fees we have listed are correct as of October 2018, although they could be subject to change in the future. You can view the fees on the council’s website. A new online application system has been introduced to coincide with the rollout of their selective licensing scheme. The new system can be used to apply for both selective and mandatory HMO licences and you can find out more information on the council’s website. If you want more choice, you can also find other companies that offer a licence application handling service in our Landlord Suppliers Directory (here). Yes, Bexley Council has recently updated their HMO standards that apply to all licensed HMOs. To make your live easier, Bexley Council have given us a copy that you can download from this website – just click on the link in the orange ‘More Information’ box on the right hand side of this page. The council can still ask for larger minimum sizes. These new minimum sizes will apply throughout England to HMOs licensed under a mandatory HMO or additional licensing scheme. As of January 2016, Bexley Council told us they had licensed 22 HMOs, an increase of four over the previous 12 months. In January 2017, we found there were 25 licensed HMOs listed on the council’s website and by July 2018, the number had increased to 38. Bexley Council keeps a public register of all licensed HMOs that is regularly updated and can be viewed on the council’s website. In January 2016, Bexley Council told us that they think there could be about 200 licensable HMOs in the borough, and so it seems they have only found and licensed about 20% of the properties so far. The council have also told us they think there are about 2,450 properties that will need to be licensed under the selective licensing scheme. Any landlords of licensable properties should apply now to avoid facing the consequences on non-compliance. Don’t put your livelihood and reputation at risk. Make sure you comply with the law. We can help you! (find out more). Bexley Council told us they did not take any housing prosecutions over the five years from April 2011 to March 2016, which puts them at the bottom of the housing prosecution league table when compared to other London Boroughs. The Council did not obtain any Rent Repayment Orders from the landlords of unlicensed HMOs over the five years from April 2011 to March 2016. This is based on data published by the Courts and Tribunals Judiciary. For the latest information, you can search for housing prosecutions on the Mayor of London's 'Rogue landlord and agent checker', available here. Whilst we don’t have any figures for the NLA or RLA schemes, we have got information about the London Landlord Accreditation Scheme that is supported by all the London Boroughs. In January 2016, they told us there were 294 accredited landlords in Bexley, which was the 4th lowest out of all London boroughs. By January 2018, that figure had increased to 309, although they have dropped to the 3rd lowest when compared to all the London boroughs. To find out more about becoming accredited, you can visit the London Landlord Accreditation Scheme website here. A new licensing scheme has recently been introduced. From 24 October 2016 to 24 January 2017, Bexley Council consulted on plans to introduce borough wide additional licensing for all Houses in Multiple Occupation (HMOs) and selective licensing for all other rented accommodation in the DA8 and SE28 (Erith and Thamesmead) areas. After reflecting on the feedback, the council fine-tuned their proposals and consulted again from 20 November 2017 to 31 January 2018. That proposal was for borough wide additional licensing plus selective licensing in four areas: Thamesmead North, Abbey Wood / Lower Belvedere, Erith and Manor Road. Following the government’s decision to widen the mandatory HMO licensing scheme criteria, the council decided to drop plans for additional licensing and instead concentrate on selective licensing in these four areas. The scheme started on 1 October 2018. There is clearly a lot happening in Bexley so we will monitor the situation closely. For all the latest news, you can sign up to our free newsletter. On 16 September 2016, Bexley Council made a non-immediate HMO Article 4 Direction that removes the permitted development rights to change a property from a single-family house (use class C3) to an HMO occupied by up to six people (use class C4) without planning permission. Bexley Council consulted on the HMO Article 4 Direction from 23 September to 4 November 2016. The Article 4 Direction applies borough-wide and came into force on 24 September 2017. So from that date, even letting your property to three people who are not all related could require planning permission. You can download a copy of the Article 4 Direction from the ‘More Information’ box on the right of this page. You can find out more information on the council’s website. When you click on the link, scroll down the page and click on ‘Article 4 Directions’. No additional licensing in Bexley but the mandatory HMO licensing scheme applies borough wide. A selective licensing scheme started on 1 October 2018.